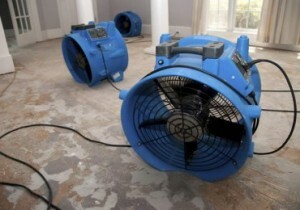 Advance Maintenance Limited provide dehumidifiers and air movers to help dry your property fast following water or flood damage, free of charge for all insurance claims. We can also provide water extraction and a pumping out service for larger floods. It is essential to install dehumidifiers and air movers as quick as possible following water or flood damage to prevent secondary damage and to minimise mould growth. Advance Maintenance Limited can provide detailed quotations for drying works if required by your insurance company.